The Tuesday Night Bloggers are back after our summer break! We are the informal group of crime fiction fans and bloggers choosing a topic each month to discuss in posts on Tuesdays. Thanks to Bev, as ever, for the excellent logo. Kate at Cross-Examining Crime has kindly offered to collect the links for the various pieces. If anyone wants to join in, just send a link to one of us or post it in the comments below. This particular topic has an elephant-in-the-room – the revelation that a child was the criminal can be a shocker, and not one you want to spoiler. There’s one book by a favourite author which is leaping to mind here – hard to discuss without spoilers, though I’ll be interested to see if any of my Tuesday Night colleagues will tackle the question. I decided to sidestep this: The Bad Seed contains a truly horrible child, but there’s never much doubt about that – the clever point of the book is her mother’s slow acceptance of the truth, and the other questions that might be raised. ‘I don’t like overalls,’ said Rhoda in an earnest, hesitant voice. 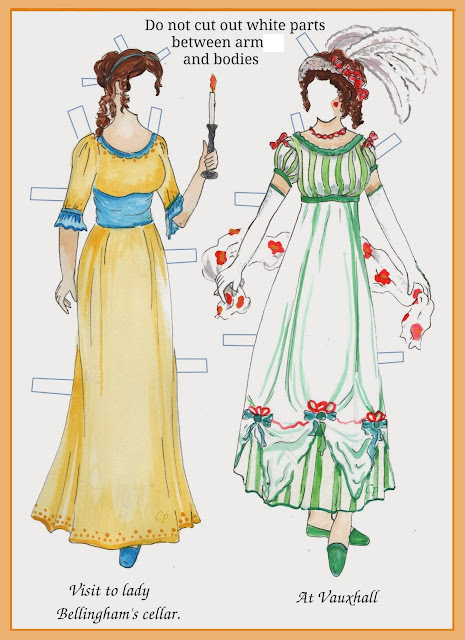 commentary: Later in the book, when Rhoda is in yellow, with yellow socks and yellow hair ribbons, it is stressed for the second time that her braids/plaits are looped like a hangman’s noose – not a usage you find much elsewhere, but another of William March’s clever tricks. Christine wants to believe the best of her child: she wants to assume that the death-rate around Rhoda is a coincidence, or just unlucky. But the greedy reader knows better – as you settle in to read the book you KNOW the worst of Rhoda, but are still able to be shocked. Another child has been awarded a class prize that Rhoda thinks she should have won - hmm, wonder what will become of him? And the medal? Rhoda is ten years old, and a cold-blooded killer, and this is not a spoiler. The book is a real page-turner – there’s Rhoda racing round behaving badly, there’s Christine trying to decide what to do (and making the reader wonder what can she do, what could any mother do? ), and uncovering some family history, and there are the other characters, including those who think the worst of Rhoda and those who trust her. The one noticeable absentee is Rhoda’s father, Christine’s husband, who is away on business. The family has moved from New York to an apartment block in a classic, sleepy American small town. It’s a very entertaining read, and even funny at times: March is very good at creating characters, and Mrs Breedlove – above, the Penmarks’ kindly neighbour – is an inspired invention, with her endless Freudian theorizing and attempts at psychoanalysis. There are compelling scenes where her conversation is reproduced, while we are also privy to Christine’s thoughts as she pretends to listen. There is also a sidelong picture of small-town America, with an explanation of Community Chest (known to Brits only from the game Monopoly) and glimpses of the everyday sexism that would be found everywhere at that time. The book is quite self-consciously modern and daring, with mentions of penises and homosexuality. I did laugh when I thought of another recent 1954 book I read, one of Patricia Wentworth’s UK-set Miss Silver mysteries, a million miles away and could be 100 years – no such mentions there. It is also true that in 1954 in the UK, little girls on a school treat would all be in dresses – no shorts or overalls. (I wasn’t alive then, but can confidently say that this would be true for quite a long time after this date.) In the book, a witness can safely identify Rhoda at the picnic because she is the only girl in a dress. She giggled, tossed her pebble over her shoulder, and looked anxiously at Christine. I don’t know if March invented the phrase ‘Bad Seed’ to indicate a worrying young person with bad heredity, but he certainly caused it to enter the language, and the book was an instant best-seller, and has been turned into a play and a couple of films. Despite all the mentions of psychology, there isn’t much attempt at getting inside Rhoda’s head, and her wickedness is all put down to heredity – an idea that Agatha Christie was very keen on too, though it seems to me that both she and March are actually only using it as a useful plot point, I don’t think you could conclude anything about their own views. Anyway - it’s a great, atmospheric, terrifying read, and the ending of the book is clever, chilling and superbly done. The pictures are from the Ladies Home Journal of the era. Interesting piece and I like how you found a child killer book which isn't the obvious one we're all thinking of and also allows you to discuss this fact freely. Did William March write other crime novels? And are they in a similar vein? I haven't read anything else by him - he wrote a fair bit, but I think Bad Seed was his big success. But he was one of those busy chaps: a highly decorated Marine, pursued law and business, and wrote various things. He died the year this came out, so didn't see the huge success. Like Kate, I thought of that other book, too, Moira. This one, though, really looks like an interesting exploration of the psychology of the child killer. And I like the very natural reaction of her mother, who doesn't want to believe it. Oh, and a fascinating topic for this month, too! The Bad Seed is surprisingly chilling at times. Have you seen the film adaptation? It's a lot of fun. Moira, I've never heard the phrase "tossing her pebble over her shoulder." I've sent a query to one of the professor's in the department whose specialty is language and word/phrase origins. I'll let you know if learn anything. Oh thanks Bev! I would love to hear more about it.. I saw the movie (1956) many many years ago, and was pretty contemptuous of the ending, so when I read the play years later and learned the real ending, I realised it was just Hollywood and its Code being silly. Hee hee. I just can't figure who the Child We're All Thinking Of would be, but when I find out, I'll no doubt kick myself. I have only seen the movie and not read the book. Reading the book should be interesting only it sounds too terrifying for me. It is chilling, and very clever. "Monica thrust her jaw forward, and then in a quick, spasmodic movement, she jerked her head to the left, as though there were a pebble balanced on her chin, and she strove to toss it over her shoulder. 'My tic is annoying today,' she said. 'I don’t know why, I’m sure.' She lit a cigarette and then went on. 'I talked to Doctor Kettlebaum about my tic, and how to overcome it; but he looked at me in surprise, and said, "But, dear lady, it’s such a young, such an intriguing gesture. Why not leave it the way it is?"'"